Flowers. If you are going to go the flower route take advantage of the “farm-to-table” concept. I don’t mean go to a farm and pick your own flowers. 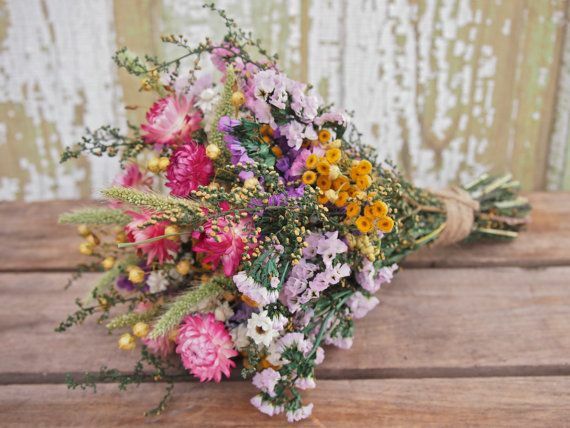 I mean when purchasing flowers, take into consideration where the come from and the ones that are in season, because they will look the best. If you wanted the most beautiful roses that weren’t shipped from across the country, then Valentine’s Day should be rescheduled from February 14th to mid-spring through fall. Also, take into consideration the fragrance of the flowers. After all, this is a sensual holiday. Candy, Chocolates, and Food. Just like smell, taste is another strong sense that you want to trigger on Valentine’s Day. Instead of buying a heart shaped boxes from Whitman’s, try making something that will impress your significant other. 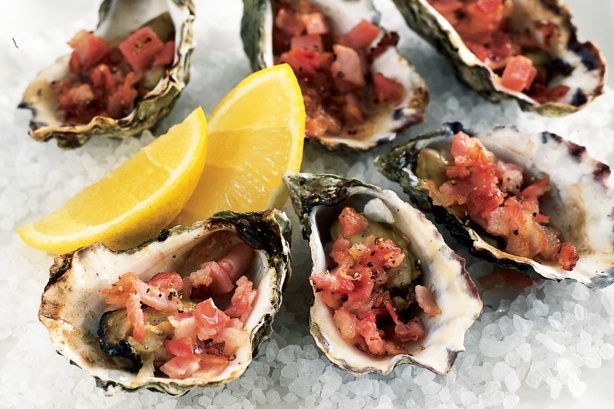 If you really want to impress your significant other, come up with a menu that is comprised of foods that are known for their aphrodisiac qualities! 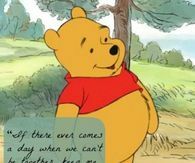 Foods like honey, chocolate, and oysters are associated with sparking reactions of energy, love and passion. I have a challenge for you. Don’t let people tell you that Valentine’s Day is the only day to treat you significant other, mothers, dads, sisters, brothers, and friends to something special. 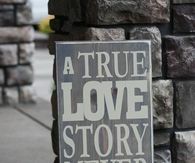 Telling someone constantly that you love them and appreciate them is what makes the feel special. Surprising them with small gifts here and there will have a bigger impact than a diamond on Valentine’s Day. Spread the love! Remind each person in your life that you hold close to your heart, and tell them that you love them…everyday up until Valentine’s Day…through your actions and through your words. Then, once you see how easy that was, continue to do so throughout the entirety of the year! We love you guys! I have never been much of a fan of wearing bulky things on my wrists, but lately I have been obsessing over watches, especially when I get to layer them with bracelets. Now, I know that watches can range in prices, and usually the ones that last longer are the ones that are more expensive, but why not indulge in something that you will take care of for a very long time? I have a variety of watches that are different in so many ways, ranging in price, style, and size. I love each of them for so many different reasons, but mostly because you can wear them with just about anything! This first watch, which is gold in color is perfect to wear with any style outfit, no matter what event you are on your way too. I love the thickness of the band, and the clear style of the watch head itself. It is great to layer with bracelets because of how slick and low key it is. You can wear this watch on the job as well as out on a date. You can play it up, or wear it by itself! This watch is a Marc Jacobs original, and although it might be on the pricier side of things, it will last you a lifetime and you will look fabulous! This next watch is definitely cost appropriate if you are looking for something fun and unique. I have been obsessing over leather bands lately, and the face of the watch definitely plays it up a bit, making for a fun, down to earth outfit. 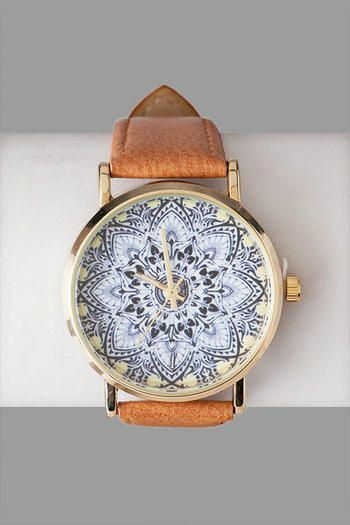 You can find this watch at Francesca’s, which has an abundance of cool accessories for any fashionista out there. Kate Spade is one of my favorite brands out there. I absolutely love their purses, but my heart belongs to all of their watches. 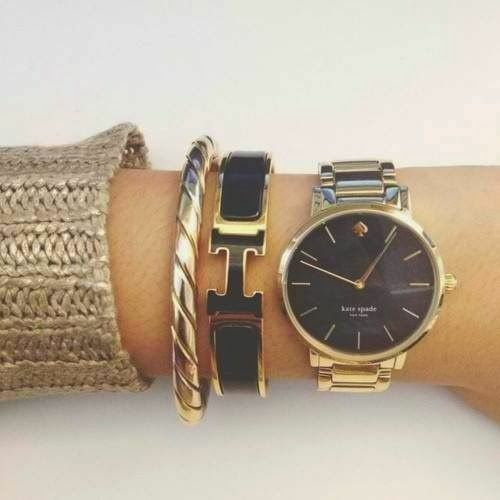 Each watch is different in so many ways, but you can always tell that they are a Kate Spade original. I love layering their watches with their bracelets, which can definitely play up an outfit. 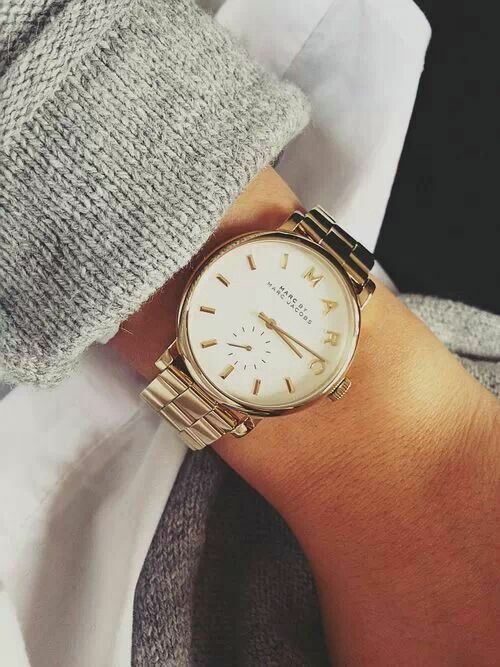 Kate Spade is a little on the pricier side of the spectrum, but if you are looking for a great watch that will last you a long time, this is the place to look! With Valentines Day coming soon, what better way to show someone you love them with some beautiful pieces from yours truly! Today we have compiled for you a bunch of our favorite jewelry, which by the way, is very hard because we love them all so very much! 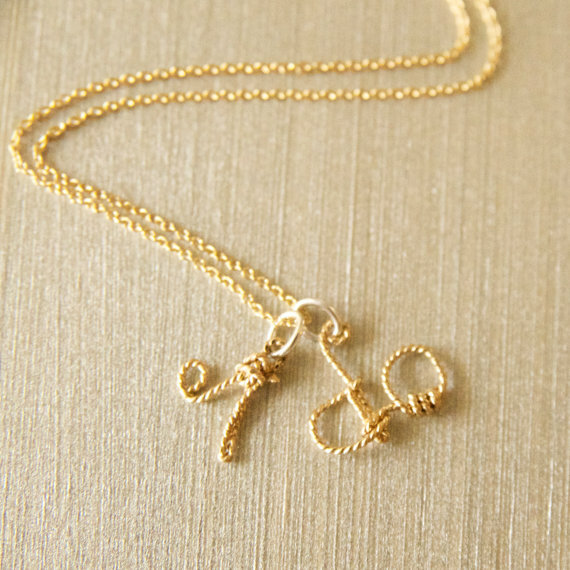 For both heart necklaces choose with or without handmade letter initial. You will find this in the listing details. Handmade pendants and letter pendants are made with 20 gage beaded wire in 14K GF or Sterling Silver. 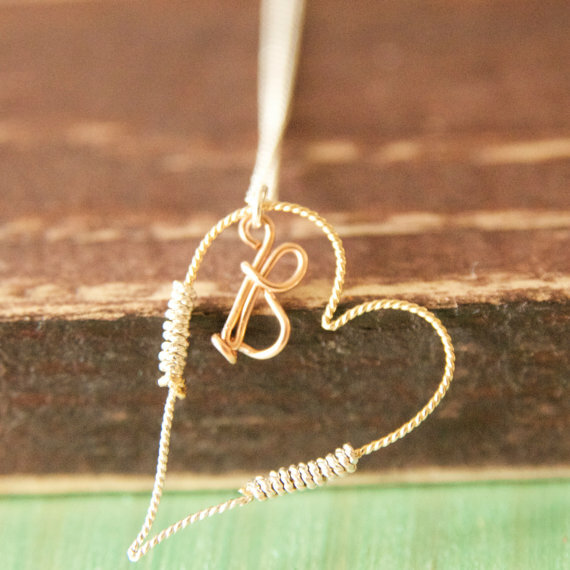 Both Hearts pendants are made with both 14K gold fill and sterling silver. They come in mixed metal. If you prefer them made in all of one metal please note this at CHECKOUT at ETSY! 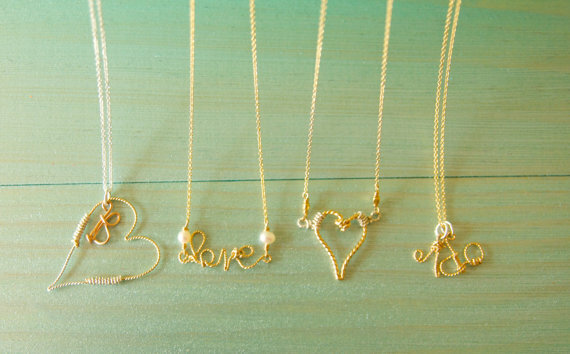 These necklaces are perfect as a gift on Valentines Day, or a gift for your bridesmaids on your big day! 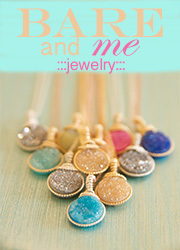 I absolutely love all of them, and they all look great paired with other jewelry. 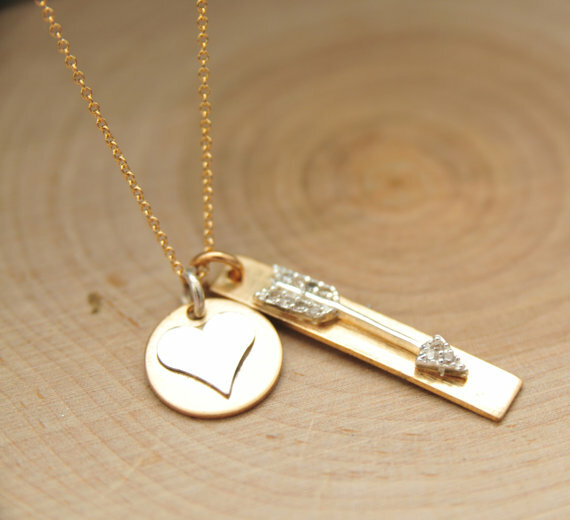 Like we said in a recent post, our jewelry ranges from gold to silver, but we love to pair the two together. 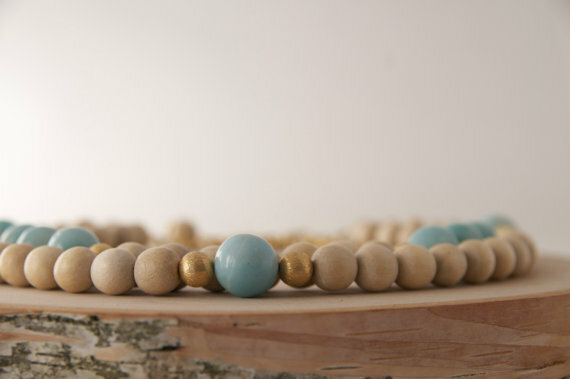 We stand by effortless beauty, so we try to make our jewelry as effortless as possible. This necklaces, like their design, are worn close to the heart, and are always meant to be a reminder of the love you share with the people around you. These are great gifts for loved ones, but even better gifts for yourself if you are looking for something nice. Remember, if you are interested in something, and want it custom designed, let us know exactly what you want so that we can make it as special and unique as you are! Here at Bare and Me, we like to pride ourselves on our dainty jewelry that can be paired and layered with anything, but every once and a while, we like to surprise you with some beautiful statement pieces. Whether it is for a wedding or a night out on the town with your girls, our jewelry will make you the center of attention! If you are looking for something that will grab the attention of everyone around you, you definitely have to take a look at this statement piece we have been selling a lot of lately. Everyone is looking for something to brighten up their wardrobe, and this should be on the top of your list. This necklace is even prettier in person! It hangs so beautifully and looks good with any colors! I love wearing this necklace with a plain white T shirt and some jeans and booties. It always plays up a normal outfit into something fun and unique. 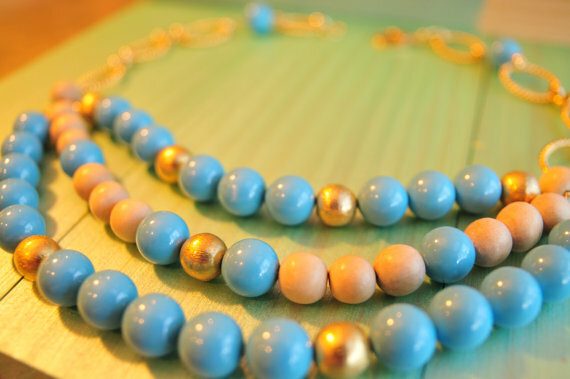 The beads are actually made of wood so they can either be dressed up or down to make the perfect outfit for a perfect night out. This style is also another great statement piece if you are looking to tone things down a bit. 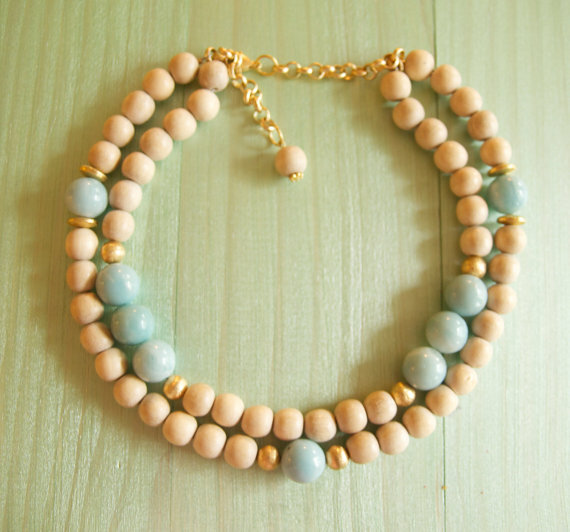 Much like our three row beaded necklace above, this necklace is great for a night out, but is a bit more muted. It would look beautiful with an all black outfit and used as a pop of color! 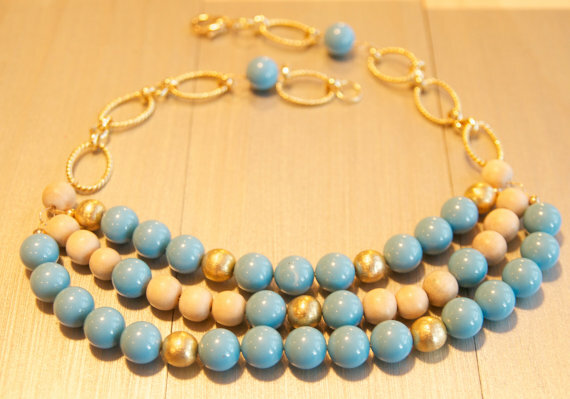 I adore this piece of jewelry and think it would be beautiful for Spring of 2015. As you all know, Valentines Day is around the corner and this would be a wonderful gift for a loved one! So check us out on Etsy and put in some orders because we are selling fast! Hurry Hurry Hurry! I still remember our first date. You took me to a local arcade and mini golf center. You let me beat you in pool. You tried to teach me how to strike a golf ball, and laughed silently in the background as I stubbornly tried over and over again, getting worse and worse every hit. We went to get sushi afterwards. You talked a lot, because I was too nervous. But thats how I liked it. I liked that you wanted to talk. That you wanted me to know about your life. It felt good. 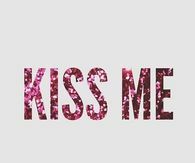 You kissed me before you opened the car door. It was fresh and new, but at the same time, it felt wonderful, and somewhat like home. I went to sleep that night and was excited to see you the next day, and hopefully, you would want to see me again. You wanted to see me. You liked me. And I liked you. 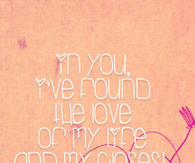 I knew that when we left each other after that first date, that you would make a huge impact on my life. We aren’t perfect. Nobody is. But I wouldn’t have it any other way. Because that is passion. 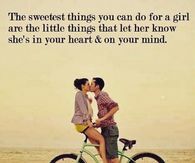 Yeah, we get mad at each other, and sometimes we want to strangle one another, but its because we are so passionate about each other, and the many other things in our life. We cover all parts of the spectrum, all parts of what makes up life. I do love you. 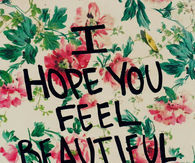 All of you. Your imperfections, your spontaneity, your passion for life, and your stubbornness. You make me very happy, and I thank you for that. We sure are a mess, but I wouldn’t have it any other way. So, thank you. For being you.